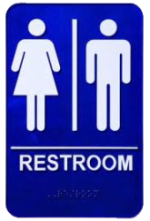 Providing strategies for finding a restroom in restaurants and other commercial establishments that have not formally committed themselves to making their restrooms available to the public. The guide was prepared by BrooklineCAN’s Livable Community Advocacy Committee. In part, the committee calls attention to features that make Brookline a highly livable community. The committee received assistance with this project from the Brookline Department of Public Health and the Division of Economic Development.